Cookistry: One Product, Many Sources! Welcome to the Beta version of the new Cookistry store!!! Prices have not yet been set, and product is not yet in stock. You're the first to get a sneak peek of the indispensable product we will be selling. And yes, just one product, but in many variations. Cooks find this one single item to be indispensable in the kitchen, and even non-cooks use it quite often. Note: all product will be securely bottled in its liquid form, and can be safely stored at room temperature before opening. Our motto is "One product, many sources." Enjoy! Winter fluff is often available tree-harvested, as well as sky-harvested and ground-harvested. Note: We do not sell, or advocate using hard pointy roof-melt product. This is inferior and can be contaminated at its source. We advocate using only natural products from organic sources. 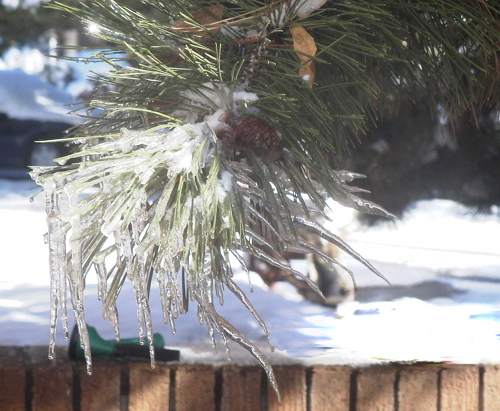 We do occasionally have hard-pointy tree melt. This is somewhat rare and as such there are no flavor choices. Bush harvested is also winter fluff. It's easier to harvest than the taller tree varieties and comes in a variety of subtle flavors. This very rare water is currently out of stock. Sold on a first-come first-served basis. Thanks for checking out our Beta store! We hope to see you back when sales go live! Sky-wild caught is my favourite.